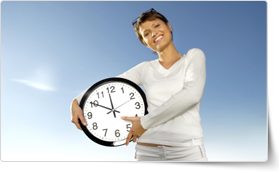 The PD Training Time Management Training Course will help you become more productive and more efficient in your role, and includes training in effective time management strategies such as goal setting, task prioritisation and delegation, applying Pareto's 80/20 rule, managing emails, overcoming the procrastination habit and much more. We want you to get the most out of your time spent in class, therefore, we encourage you to tell the trainer which lessons you would like to get trained in extensively before attending the course - you'll receive an invitation to do this once you've enrolled. The trainer will then tailor the training to your needs and cover those topics in more detail. "Easily the best PD I have done in a very long time. Learnt a lot and have started some of the ideas and suggestions." "Content was delivered in a way i now feel confident to do a PD with the rest of my office colleagues and pass the information on. Highly recommended!" "It was a really great session. Sometimes PD's can seem to drag on and most participants are keen to get away as early as possible. I noticed it was 4:15pm and most people even though the finish time was 4pm were still keen to chat and ask questions. The energy levels were kept high and I found the day moved quickly, but in a way that information was easy to retain.I have already implemented 2 of the practises - sacred time or a meeting with myself and the use of body language to discourage "chatters" with out offending. I have already recommended this to the Principal and would go to another pd with this trainer." "Breaking allocated tasks in work quadrants...learning about "loading" . Great session...was very timely:)"
"Easily the best PD I have done in a very long time. Learnt a lot and have started some of the ideas and suggestions. Didn't want the day to end - which is rather unusual." "Content was delivered in a way i now feel confident to do a PD with the rest of my office colleges and pass the information on. Highly recommended." "Deidre really tailored this presentation to our specific needs. Personalising the content made it much more relevant and easier to absorb. Excellent." "I loved and found extremely interesting the links between time management and behaviour styles.The trainer was very knowledgeable in this area." "Deidre kept the class interested and engaged throughout the whole day of PD. The best presentation I've been to." "Overall, it was a very engaging session, and although curtailed from our end, the three topics discussed were relevant and excellent tips were providing in achieving better Time Management results in our day to day tasks." "Is so new to me about the 80/20 rule. Where it shows me that I just need to make some simple adjustment to my normal habits to have my results count." "I enjoyed the course, I found the trainer easy to listen to. A lot of the processes I already use in my working environment and I also took away some new. thank you." "I thought the training was fantastic! Jo was a great teacher, and really got everyone involved with the learning process. I enjoyed the practical activities, as well as the insight that Jo provided on various aspects of time management. I liked the small class approach where we had the opportunity to discuss ideas and thoughts. I felt that my areas of need were given strong consideration. It was really nice to know that the other class members had similar issues... not just me lacking in certain skills! The location and facilities were good. It was convenient being located near the train station, and there were no distracting elements during the class." "This is the second time I've had Troy as a trainer. He is very engaging and personable whilst remaining on topic. In this session he used his own experience and passion for the topic (time management) which gave the information more merit. I found the Productivity List and goal setting tools most useful." "I loved this: "Time is the coin of your life. It is the only coin you have and only you can determine how it is spent." Louise gave us reference to books and talks appropriate to this training." "The day was interesting and enjoyable. The Trainer was professional and commanded attention to provide a very informative workshop." "I really enjoyed the whole day with Derek. It was really interesting content, delivered in an engaging way with practical advice and skills that I can put into practice straight away." "The course was very use full . has given me some very use full hints in team of how to manage Plan my day to day job." "...one of the best speakers, facilitators I have come across, kept everyone engaged for the whole day." "Anne was vibrant, enthusiastic and built a great rapport with our group. It was an enlightening course and full of great energy - hats off to Anne for a great day!" "I started to use the Productivity List straight away, I find it to be a very useful tool. I believe I'll continue to use it. The facilitator was brilliant, Troy I believe, he made the training exciting and I didn't want to fall asleep. Good job." "Most useful: how to link theories on time management into daily tasks." "it was precise and very enjoyable as well as helpful for a MACcentric user." "Very handy tips and tricks for me to use." "Ann is a fantastic trainer. No boring bits - loads of great information. The course has reinforced what I know I should be doing with how I manage my time and it inspired me to get going in practise. A great course, very worthwhile and highly recommendable. Great facilitator!" "I found the trainer approachable and adapted to each students needs. She gave us tools I am now trying to implement." "Great course, engaging and informative." "Troy was able to deliver the training and information in an engaging and humorous way. Which not only kept us focus but we were able to retain more. Thank you." "Enjoyed the session - take home tools and strategies that can be implemented immediately and are useful in the workplace." "Very up beat trainer, was vibrant and enthusiastic right through the day. Very knowledgeable on what she was presenting." "The topic in maximisng productivity is definitely the most useful part of the course. It taught us to improve spending less time on activites that are of little to no value - becoming more organized and productive would eliminate unnecessary stress at work as well." "Been to a number of Timer Management courses in my time and found this one to be one of the betters. Thank you." "Great course. Derrick was very knowledgeable and gave us some great ideas to work with." "Time Management" skills, but this course identified some techniques that were interesting accurate for identifying priorities. I came in with an open mind, and I left very satisfied and more confident. Everything covered in the course made sense, and gave me validation, that what I have been doing is on the right track, and what I need to do more of is "Discipline myself" in keeping to the time-frame of my working schedule." "Very happy with the course offering - valuable skills and tools gained to deal with procrastination, prioritising, delegation." "We had a condensed course, due to time restrictions (90 minutes) so I am fully aware that we had to speed though the content. Having said that the facilitator was one of the most professional, well prepared and easy to understand presenters I have experienced thorough Glen Eira Council training. Great job." "Excellent course. Very handy tips. Thank you." "I found the program useful and could implement this training session for my work place time management. Very insightful. "Great session, although it was short it was quite informative and provided many tips on identifying priorities, making lists and ways in which to deal/plan for interruptions. So much more that could be covered but given the time it was great. Highly recommend it to those who are feeling lost in their work environment. Michaela mad great use of the flip chart to make points and interact with the group." "Obviously trainer knows her stuff - she is passionate about this topic. Realistically Time Management is something we've all looked at previously - we just need regular reminders and tips on how to make it work." "Joseph was simply amazing! this course was exactly what we needed. He was so humanistic and so knowledgeable. we absolutely enjoyed the day and we learnt so much. It was fantastic." "I took away the prioritising of tasks and have already started to employ this technique." "I really enjoyed the content!Especially with delegation, prioritisation and assertiveness. It really helped in setting my planning for success." "I enjoyed the time management training much more than the motivation training as it was more tangible and applicable. The motivation was good too, it is just more difficult to put it into practice." "I found the Time Management Course to be beneficial in providing me with strategies to better manage my time at work by filtering various tasks and challenges into an order of 'importance,' which I believe will boost my output. I'm looking forward to putting the details obtained from this course into action now at work." "Good course very relevant to our needs, gave some useful tips to help manage my time." "I appreciated having the opportunity to review and understand the principles of time management and what it means to be able to deliver the required results in a time poor world. This is something I certainly struggle with so it was refreshing to be able to get some tips on how to rethink the concept of time management in my life. Very worthy course and the facilitator was fantastic as she was not clinical in her approach but instead very relaxed yet engaging at the same time. Thank you Anne." "Fabulous workshop and our trainer added more gems to our course. Definitely recommended to our work colleagues, would like to take a refresher later on in the year." "Karen was an inspiring trainer who clearly explained the course content and motivated the students to make the changes for ourselves. She struck the right balance between helping individuals with queries and not letting the class be dominated by any one student." "While I was familiar with some content covered, I was able to take away some more tools and strategies to assist with time management. Completely enjoyed the delivery and was worth attending." "Karen, made a lot of sense and I feel that not only myself but all participants took something away from this and will implement ASAP to help with their time management." "I have been able to put in place some of the tips I learnt in the training already." "Karen was an excellent trainer I learned from the course and would highly recommend to anyone. Great environment, good size course." "Michaela was amazing! All information was relevant and tailored to our office, very useful!" "Great trainer, learnt a lot, I would definitely recommend!" "Picked up on some great ideas and perspectives on time management for which I now need to put into practice." "The trainer was very impressive." "Brendon was a dynamic and thoughtful presenter. His passion for training is obvious and experience valuable." "I found this very interesting and the trainer was very resourceful. I was expecting a dull boring session but was pleasantly surprised." "Great training booster/refresh. Good to have a different trainer 2nd time around." "DISC analysis was the most useful part of the course." "Our trainer was great, she had a great energy and warmth." "Our found the course to be more about positively than time management." "I enjoyed the training and the trainer was very positive." "Sanet was a fantastic presenter with abundant energy, enthusiasm and knowledge. Sanet made the learning process more enjoyable through continuous classroom engagement activities." "I found Karen very easy to relate to and the whole session went very quick l took a few good ideas away with me and will endeavour to use them." "I enjoyed the interactive (but non threatening) environment, and the activities used to demonstration various skills and personality types. The apps suggested in the course will be helpful. The class size was just right (not too small or big) and allowed for interesting discussions. Jo's presentation was well thought out and well presented." "I really enjoyed the course. Derrek was a fantastic trainer and I would recommend this highly to other people. Thank you." "The theory involved in this was great, and allows people to see what behaviours they exhibited, and why this had an impact on their work. However I find that the specific tips and tricks are the most useful parts of this - things easily implemented for real results." "Leigh is a fantastic facilitator who brings relevance of the topic to each participant." "Discussion on how to use outlook to help manage your time was very helpful." "Trainer was knowledgeable on the subject and engaged all participants. Information was interesting and well delivered." "I attended this course as a group of 6. Ann the instructor guided us on every aspects in terms of time management. this is a course for every one who want to use their time more efficient in their work & person life." "Fantastic trainer who really knew his stuff. Was also great to be in our project teams to learn." "The trainer was energetic and kept the subject matter interesting." "I took several things away from the course, now all need to do is implement them and that is all on me! Very worth while and enjoyable." "Jen did a great job and I would definitely attend one of her other courses. I would also recommend her to my colleagues and friends." "I really benefited from the prioritising and goal setting sections of the training. These will definitely improve my day and therefore my life!" "The course was useful in that it reinforced things I already knew, and threw up a few new ideas on how to better manage my time. Troy's energy and enthusiasm was great too on a potentially boring topic." "Prioritise and case study was great." "It was a great course and well worth attending it." "The trainer kept it interesting and had helpful feedback." 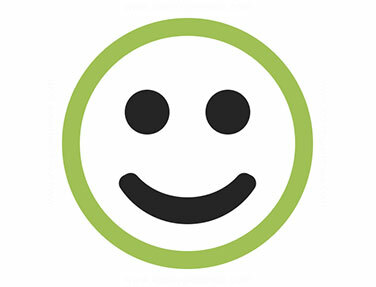 "Jill was very engaging and knowledgeable. Fun presenter." "It was a very interesting course, I love the information delivered it gave a good insight on how people work and why, weakness's and strengths." "Great presenter and was open to discussion." "Sanet was great, very entertaining as well as informative." "I found that the course was very informative particular to my position as Business Manager. The course gave me tools that I can use with clear instructions so that I have no problem implementing them. It gave me information that will improve my role as a Business Manager and quality of life work balance." "Sanet had some real 'pearlers' which I wrote down. So much of what she said was like 'light-bulb' moments. Would thoroughly recommend to anyone." "Already recommended you guys to others! Loved my day at PD Training!" "I thoroughly enjoyed the day and Richard was a very knowledgeable facilitator. I felt he did a great job of keeping everyone fully engaged all day and I absolutely recommend him as a trainer as well as the course itself. I would be most enthusiastic to join any additional training sessions where Richard was the facilitator!" "I enjoyed the entire course." "I enjoyed this course. I left it feeling well equipped to make improvements in not only my work situation but myself as well." "Sanet was brilliant. Very engaging and made the training very enjoyable." "The course content and presenter were brilliant thank you. The Webinar was great learning tool." "I was very satisfied with the training and have started making positive changes to my daily activities due to the content of this course, thanks to the attitude of the trainer also!" "Enjoyed the video By Sam Harris - It is always now. A reminder of the truly important things. I have been inspired to re look over the work book. Observe the goal I had set. Lose 10 kg in the next 6 months. Be interesting to see when I come back to do the course again what my progress has been." "The mood and atmosphere of the course was enlightening and uplifting. I believe that a general discussion involving multiple teams allows for additional insights although a separate and shorter session with only your team/department to discuss processes and time management issues specific to your own team might be even more beneficial. The course structure and outline is deployed incredibly well and i would highly recommend the course." "Excellent training course. Really liked the Urgent/ Importance Matrix." "Seriously loved the course, was awesome to learn how to apply these skills to both my personal and working life." "Joe delivered an interesting, practical training course that made me feel inspired to put some of his tips into practice." "Interesting cross section of students and very well managed by the trainer, nice work." "The presenter Joe made the course (which could be seen as a chore) entertaining, relevant and enjoyable." "Jo was super enjoyable to listen to. Would attend any course he ran, as he made it so easy to listen - using humour and he seemed to just show passion for what he does and it came so naturally." "I provide a service from Engineering to production and facilities. My priorities and time management are dictated to me by the requirements and needs of others on a day to day basis. I did however find the course material helpful in planning the best use of my time outside of work." "Deidre is an excellent presenter very energetic and engaging. Time management is a dry topic but she made the best of it." "The trainer was very knowledgeable, enthusiastic and engaging." "It was a small group so I definitely felt like the trainer was able to focus in our individual needs. Within the small group were some big personalities and they did dominate and sometimes go off on a tangent. The trainer did well to bring them back into focus. He was very patient. We are from a range of workplaces so our time management needs were quite different." "Really enjoyed the course. The last few sessions are the ones I derived the most benefit from. Wish I had taken a few more notes. I would like to come back and revisit session." "I thoroughly enjoyed the Time Management Skills training I attend 31/08/17. Derek was very knowledgeable and offered a lot of information which I found helpful in both my working and personal environments. I'm a procrastinator, I would make to do lists but prioritising the list was hard. Often jumping from task to task and at the end of the day not having ticked much of the lists. This has now all changed. I gained a number of skills and tips which have been invaluable to career and personal life. I have implemented many of the skills gained. As a result, I am able to better project manage our office relocation, I no longer procrastinate and I am able to work through prioritised to do list while completing task like never before. I completely enjoyed the course content from start to finish. I have attended many training courses and have also delivered them. But this was the best course I have undertaken and I found all of the content valuable. I remained engaged for the whole training and this is due to Derek's delivery of the course content. Thanks again Derek. 10/10 PD Training :)"
"It was useful because the concepts learnt during this course can be applied to my personal life & it will benefit my entire family, so that I can manage time more efficiently & effectively." "Overall it was pretty good. Karen was very passionate about time management." "The overall content of the course was very useful. I picked up a lot of tips that I will implement in my daily life." "The most useful thing was to have the whole team together to look at these issues." "Great interaction from Derrick, he understood that each of us in the room were after different direction / outcomes - he was attentive to these outcomes and interacted with each of us accordingly." "I found the content of the course helpful. it will improve not only my work flow , but also in daily life. The four d's , and classification of priority's certainly will assist me in the future." "The trainer showed great enthusiasm for the topic and the imparting the knowledge. The attendees got involved in a number of activities that activated the brain and sometimes the muscles too." "Pretty impressed with the small class size, trainers enthusiasm, attempts to help each student, location & lunch options." "Peter, our trainer, was excellent. His ability to personalise real examples was impressive." "Joseph's presentation was particularly effective because he provided context and appropriate application techniques alongside the theory." "Joe was great, enjoyed his personality and energy for training the group." "MOST USEFUL: Group activities, email-management, weekly list instead of daily." "The trainer was very lovely. And she make sure were were all comfortable in class. Very knowledgeable and took some time to talk one on one with each of us during the break and lunch." "I found the course relevant to my life /work balance, through the tools acquired I look forward to improving my work and home life." "Trainer made good use of his personal experiences v course content, this was very good." "I felt the course had a lot of good information and I really like the videos. I liked the info about reading people and got some good info about prioritising my email better. Thanks it was great!" "I have attended many training sessions based around time management previously but this made clear, common sense - came straight to my pc and turned OFF email notifications. Also poignant/relevant was the 'Let it Go!' - makes so much sense (but often hard to do when emotion is attached). Putting that piece of advice into play effective immediately! Thank you Ian!" "Karen was extremely well versed and efficient in her delivery of this course." "It was interesting to learn about my traits which would explain my work style. Ways to improve and make my day more effective and productive is now my own personal challenge." "I really enjoyed the workshop, I thought the way all attendees were encouraged to interact helped us to share our particular issues with time management in the workplace. Some had good ideas and experiences that were helpful being shared." "Very helpful course. Trainer knows his business :)"
"This was a really good quick dive into time management skills. Derrick was warm, understanding and easy to listen to. "The course was terrific. In applying ideas at work since there are many quick wins. The manual is really helpful to refer to over time. The trainer was extremely knowledgeable. The concept of 'eating a frog' really makes sense in a busy workplace as is the links between calendar and project planning. "Loved the trainers presence Loved the ABC categorizing, very useful"
"Overall, great insight to time management." "I find this training is helpful." "On reflection I realised I can implement a lot of the tips we were given and this in turn gives me a fresh approach when viewing my workload. Thank you Ash :)"
"This was a great course that taught us the fundamentals required for working efficiently in a world full of distraction and specific principles in prioritisation. Overall the skills and principles I learnt should make me be able to work with less stress. This was an excellent course, very engaging and very enjoyable! "I think the meeting discussion was a good example of problem/solution." "Most useful part was to find out how each staff member is a different learner from each other." "Joe is very engaging. He knows the content extremely well and made us think about the relevance and how we can apply these theories/ concepts in our working/personal life which I really enjoyed. I have started implementing what I've learned specifically the Eisenhower Principle/matrix and shared the concept with my colleagues." "This was a fabulous course and I particularly found the size of group and room excellent to get the most out of the day - as above the trainer was superb"
"Kerri's style and ease was fantastic." "I was doing the training via Skype style hook up, so even though doing the training from home wasn’t ideal I still felt that Peter did well in including me into the group and listening to my questions via video link. But nothing beats being in the same room for a training session." "Incredibly helpful and liked the way he made it relevant to our daily work routine." -North East Community Support Group Inc.
Understanding, identifying and defining your long-term goals is the very first step when implementing an effective time management solution. With the broader goal in the background, you can now set a series of medium and short-term goals that will effectively lead you to achieving the cherished long-term goals in your life. By applying the skills taught in the Time Management Workshops, you can optimise your efforts to ensure that you concentrate as much of your time and energy as possible on the high-payoff tasks. This ensures that you achieve the greatest benefit possible with the limited amount of time available to you. Contrary to popular belief, effective time management is not necessarily based on doing more things in less time.